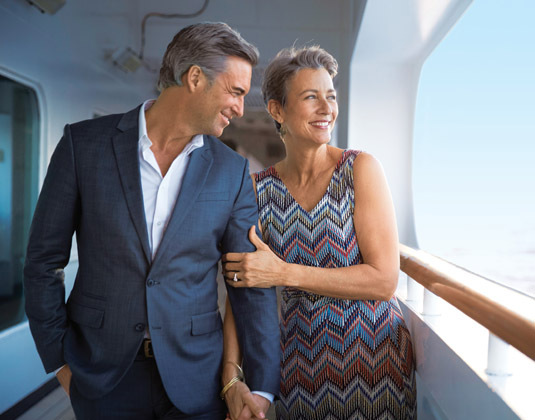 Holland America Line's first Signature-class ship, ms Eurodam, has a capacity of 2,104 guests who are treated to world-class entertainment, generously sized staterooms, fabulous dining venues and an array of activities, whether looking to pursue new interests or relax and rejuvenate. There are onboard cooking shows and hands-on workshops, a wonderful spa, two swimming pools and a fully equipped fitness centre. Day 1: Fly to San Diego. On arrival make your way to your hotel. Day 2 San Diego/Cruise: At leisure this morning in easy going San Diego. 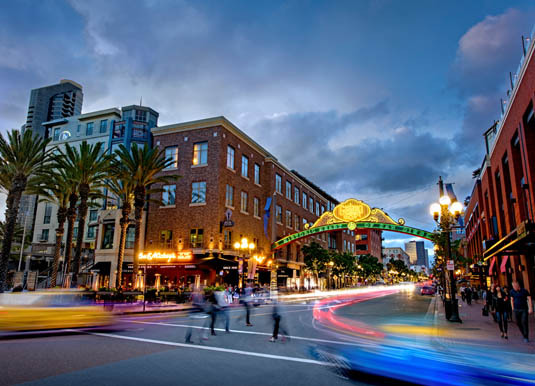 While time is short, you could perhaps take a stroll around the Gaslamp Quarter, Old Town or along one of the city's glorious beaches. This afternoon, make your way to the port to board ms Eurodam. Day 3 At sea: Familiarise yourself with the ship during your full day at sea. Perhaps choose to visit the Greenhouse Spa & Salon for some blissful pampering, take a class in the fitness centre, attend an engaging lecture or, simply relax and unwind. 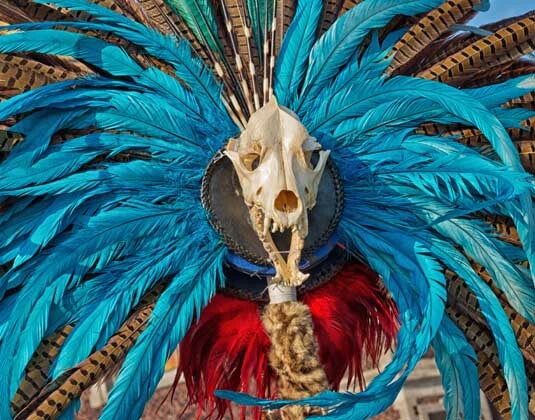 Day 4 Cabo San Lucas, Mexico: Located at the southern tip of the Baja California peninsula, the twin towns of Cabo San Lucas and San Jose del Cabo offer a real fun in the sun atmosphere. 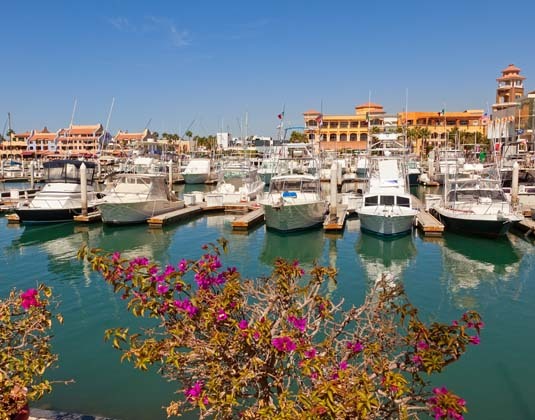 If a day on the beach doesn't appeal, you could try your hand at some watersports, go sport fishing, take in a round of golf or perhaps visit the San Jose del Cabo arts district. You could also visit picture-perfect El Arco, an arch that may look familiar thanks to its cameo on postcards and tourism adverts. North of the capes, you can drop by the famed Hotel California or perhaps go on a whale-watching cruise. 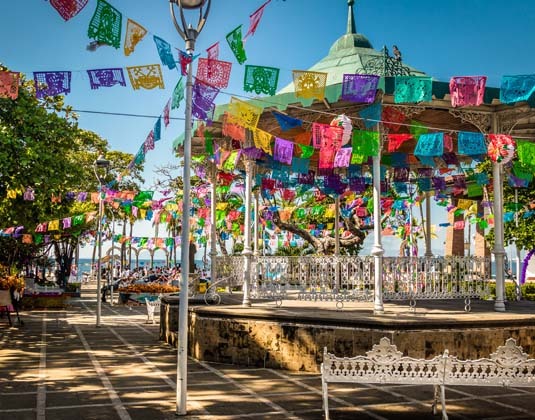 Day 5 Mazatlan, Mexico: This pleasant port city, in the Mexican state of Sinaloa, is where the best of traditional Mexican architecture, food and culture is found alongside contemporary amenities and attractions. It's a warm, welcoming place where you can enjoy everything from distillery tours and archaeological museums to witnessing death-defying cliff dives that will make you hold your breath until divers resurface from the churning surf. All manner of sporting activities can also be found, including golf, fishing and even zip lining. 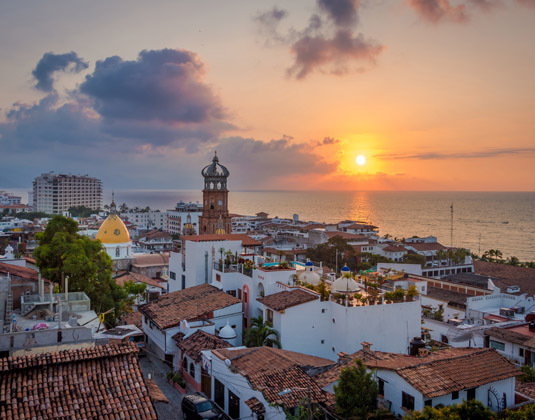 Day 6 Puerto Vallarta, Mexico: Unlike other coastal resort towns in Mexico, which were created by the government as planned communities, Puerto Vallarta retains quite a bit of its colonial-era charm. 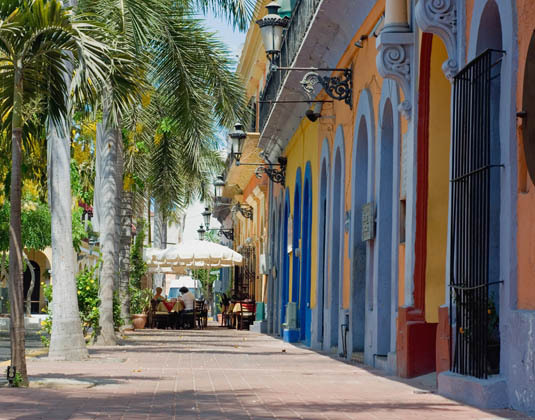 Its town square, Plaza de Armas, and the gorgeous parish church of Our Lady of Guadalupe, serve as the loveliest representations of bygone ages. Alongside these echoes of the past are more modern attractions, including an ambitious public art project along the seaside walkway. Activities are also plentiful, so perhaps try your hand at jetskiing or snorkelling. Days 7-8 At sea: Two full days at sea. Further opportunity to simply laze poolside, rejuvenate at the spa, take a cooking class from a master chef, go to a wine tasting or perhaps attend a digital workshop. Each night you'll be treated to dazzling entertainment which includes three fabulous live music venues which form the "Music Walk" experience. Day 9 Cruise/San Diego: Disembark and transfer to the airport for your onward journey, or alternatively why not extend your holiday in California? Departures: 08 Dec 18. Additional dates are available. 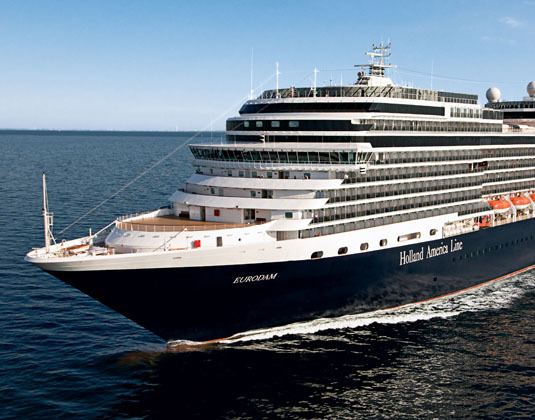 Accommodation: 1 night before your cruise at Andaz, San Diego; 7 nights in an inside stateroom aboard ms Eurodam. Meals: Room only in San Diego. Full board on cruise. 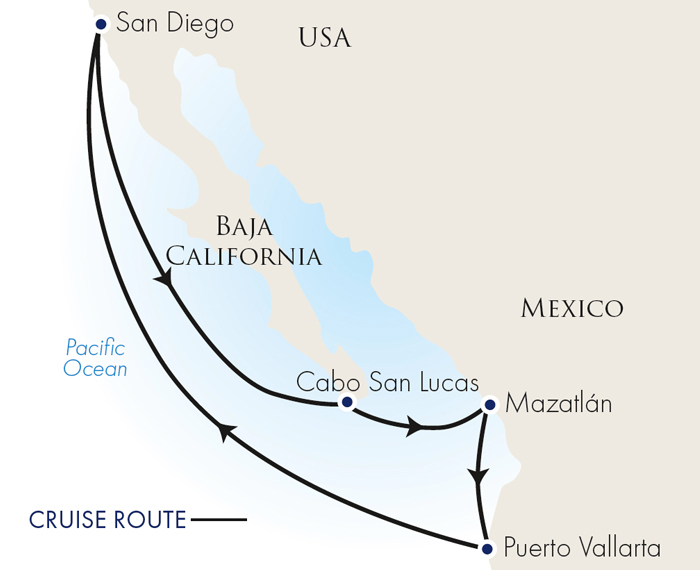 Cruise & stay price: Includes international flights and accommodation as shown above.